Are you seen as an expert in your industry? Want to develop relationships with the media to become a go-to expert? 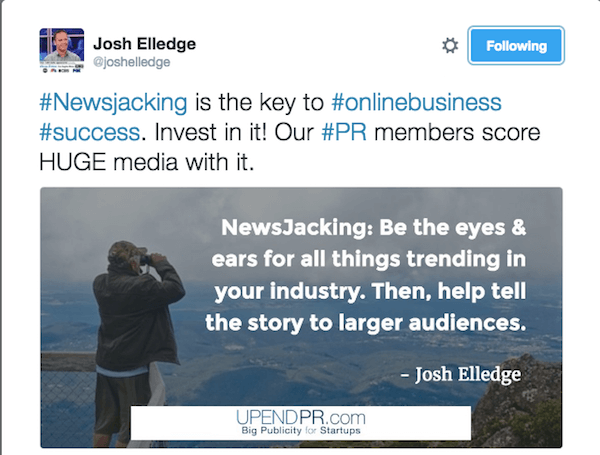 To explore what marketers need to know to connect with traditional media influencers, I interview Josh Elledge. In this episode, I interview Josh Elledge, a consumer advocate and founder of SavingsAngel.com, a site dedicated to consumer savings. He’s a weekly syndicated newspaper columnist and has made more than 1,000 TV and radio appearances. Josh is also the founder of UpendPR.com and host of the Savings Angel Show. 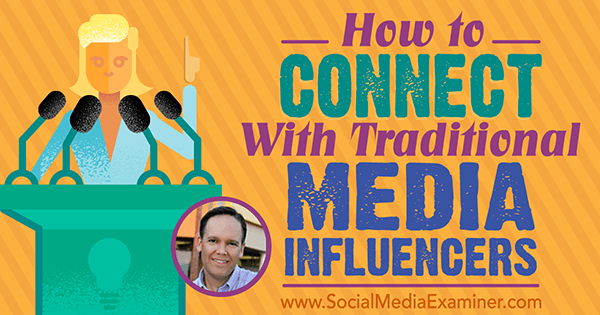 Josh explores how to connect with traditional media influencers. You’ll discover how to develop and build relationships with media via Twitter. 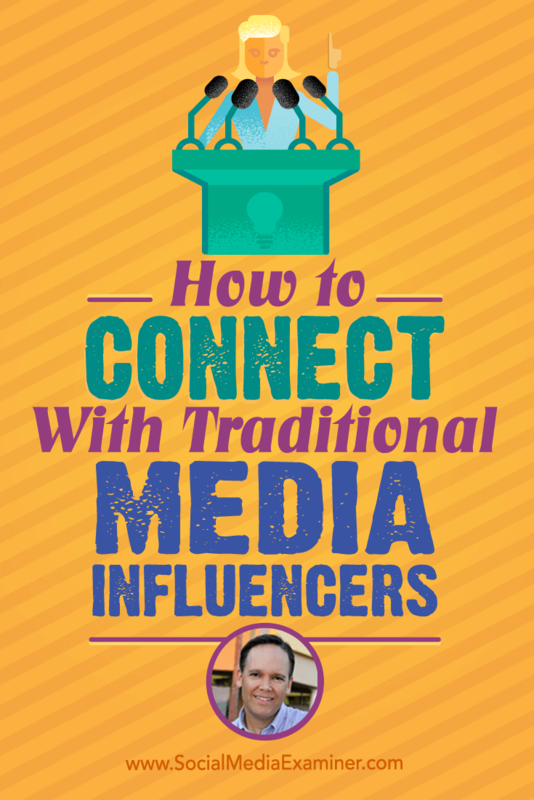 Listen as Josh Elledge shares what marketers need to know about traditional media influencers and how to develop and build media relationships. Out of high school, Josh joined the United States Navy and became a journalist. He says it was a great way for an 18-year-old to participate in producing video news stories for the Navy and Marine Corps. About 9 1/2 years ago, Josh started a membership-based website called SavingsAngel. SavingsAngel pursues their mission to end hunger, lack, and need in communities by helping consumers cut their grocery bills in half; Josh’s company charges customers $3.99/week. Since he had no money for advertising, he was forced to look for other ways to get exposure. Josh shared the mission of SavingsAngel with every media influencer he could get to pay attention to him. His outreach wasn’t about promoting SavingsAngel to make a lot of money, it was about finding a way to work with others to achieve what he wanted to do in his area. Josh got media for SavingsAngel by sharing its mission. With print publications, Josh knew to ask for remnant space, or the unsold ad space publications typically fill by running ads for themselves. Josh suggested an alternative to 20 media outlets; they could do a revenue share based on a 1/4- or 1/8-page ad. Several of those outlets made suggestions and he quickly learned what was possible. For radio, Josh developed a segment in which he shares the best 3 to 5 grocery deals in the area (he currently lives in Orlando, Florida). This segment has now become his syndicated newspaper column. He’s also been doing a TV segment for the last 5 1/2 years. It’s a very popular segment. He gets great feedback on it, and his local FOX affiliate absolutely loves the content he provides each week. Listen to the show to hear what Josh did after the Navy and before he started SavingsAngel. Josh explains that it’s very important to understand that you’re asking the media to give you publicity and to take a chance on you. You have to pitch them with a great concept for education or entertainment content as part of a segment or in a news story. PR is all about the long game. It’s incredibly important not to use any kind of sales language. This opportunity is not about you selling your thing. Josh says the media will be sensitive to you trying to sell to their audience. If you try, you won’t be invited back, or worse yet you could be blacklisted. Trust that the influencer will credit you, and give them the space to do that. It’s okay for you to mention your brand in passing, but it’s absolutely not okay to give calls to action. What is the long game with PR? Become the reliable source and subject-matter expert that the media contact can go back to time and again. Josh says he has been quoted in the Chicago Tribune close to a dozen times and has done his TV segment on FOX 35 close to 300 times. Each time he’s contacted, he drops everything he’s doing and goes into service mode to make that journalist’s job easier. How do TV appearances work? Josh says doing the pre-work (what people are going to say and do) is vital. This often takes a few back-and-forth emails. Whether the segment is recorded or live, it’s really important to talk in sound bites, Josh adds. Condense what you want to say into paragraphs, and then condense it further into the two to three most important sentences that the audience needs to hear. Listen to the show to learn what you shouldn’t do when in studio for a TV segment. When you introduce yourself to an influencer or someone working in the media, that producer has to make a decision about you in a few seconds. There are three things Josh recommends you do to prepare. First of all, keep your website updated and make sure your copyright is current. If your copyright isn’t up-to-date, you aren’t communicating that you have a professional operation. Your website should also be responsive. Next, concentrate on showing up in Google search. Work with your peers as a thought leader and find ways to be of service without asking for links back. Offer your expertise to small podcasters and small bloggers. Even though Josh has done a large amount of major media, in a Google search for him, you’ll see that about 50% of the first 3 to 4 pages of results are from podcasts. Get exposure so you’re found in Google search by doing interviews on small podcasts. The largest podcasters often have long waiting lists. Rather than just banging down their door, it’s better to get lots of practice with smaller podcasts. Look at the subjects you’re interested in, find great podcasts, listen to them, and then reach out. Let the hosts know you enjoy their podcasts, then share the value you can bring. Don’t talk at all about what’s in it for you; speak in terms of what’s in it for them and their audience. Finally, look professional on Twitter. Josh says it’s the number-one platform for reaching out to media, and shares that 90% of the media people he knows actively use Twitter. Twitter has obliterated what would normally have cost small business owners thousands of dollars per month in being able to connect with media and influencers. With Twitter, you can reach out to anyone you want, but there are some steps to take. Before you reach out on Twitter, make an effort to have good cover art. Your profile should show you’re a professional who actively uses Twitter, and that you have a good presence there. Josh also suggests that you use your face as your avatar instead of your logo because it helps media personalities feel like they’re talking directly to you on Twitter. Josh wants to make sure you have the highest possible chance of success when you reach out to the media, and he mentions the recent Twitter Tools podcast as a textbook beautiful example of how to build a professional Twitter presence. Listen to the show to discover what Josh and others have faced when hiring a PR firm. Josh explains there are a couple of things you can do to find members of the media. First, actively monitor what’s going on in your industry. Then as you read news sources, pay attention to who is writing what. Use a tool like BuzzSumo, any news reader, or Google News to identify journalists. Just being active and aware of what’s going on in your industry will help you. Then organize the journalists into separate Twitter lists. For instance, create one list of local journalists and another list of industry journalists. Once you have your lists, it’s easy to scroll through every few days or once a week to see what they’re all talking about. 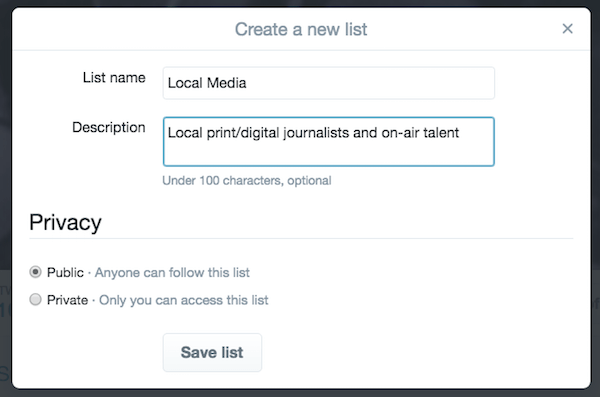 Create Twitter lists of the media you follow, so you can easily view their tweets and engage. After you’ve built the lists, you’ll want to get on individual people’s radar. Do that by liking or favoriting their tweets, replying occasionally (don’t be creepy, be cool), and retweeting. If you do tweet them, Josh says to use the technique of . @, which shows that you don’t just want to reach out to that person, you want to reach out to everybody and show you’re a fan of his or her work. I reached out to Seth Godin once because I saw something missing from his blog. He responded with a thank-you. John Lee Dumas, a big guy in the podcasting space, sent me a personalized video with a couple of tips to allow me to do something better with my podcast. This is a way to get to know someone and provide value before the pitch. Josh says this is part of the law of association, which says in business you’re the combined average of the five people you associate with most. Everyone wants to improve his or her average by looking upward. Those larger influencers don’t necessarily want to let you in. However, the way to get into that five is to offer acts of service. Josh wanted to make a connection with John Lee Dumas to be on his show, and offering to be of service was a great path. Listen to the show to hear how long you should invest in relationship development before you pitch. In the past, the act of pitching was very formal, which is why people relied on expensive PR experts to help them. Today, the news cycle is very short, and journalists and content producers are in constant need. Josh says you can now simply tweet someone and share a link to a story (on your blog or on someone else’s), say you noticed they’ve written about this subject before, and indicate that you’re an authority in the space and are available if they need an expert. Josh says your mission should be to make the journalist’s job easy. They have a lot of work to do, so give them an outline and quotes, and never ask for anything in return. You don’t have that relationship yet. Asking for something at this stage would be like saying you’re going to move in, get married, and have kids starting tomorrow while you’re on your first date. Respect that these people of authority have gotten there because they’ve put in the time and effort. You’ll get there; you just need to allow the process to happen, even if it takes a couple of years. Once you’ve developed relationships with every relevant influencer in the world and have great media contacts, you’re set for life. You don’t have to work as hard because you have people coming out of the woodwork to ask for your opinions. Josh also recommends newsjacking as a way to pitch. You want to look for a hook, he says, which is what people are already talking about. Grab onto trending water-cooler subjects and use them as a way to make a bigger point or introduce your expertise. Journalists are constantly looking for experts who can tie their expertise to what’s happening in the news. Josh shares an example of how he did an off-the-cuff pitch. He was in the newsroom and everyone was talking about how Disney World had just raised the ticket price. Josh told them while it wasn’t in his wheelhouse, it was a consumer issue, so he could absolutely talk about it. He told them to hang on a second and after doing a little research, he was ready to go. Even though the segment didn’t directly benefit Josh, he’d made himself available. The more areas where Josh can help the media, the more they can rely on him. As an example, Josh shared that he did two stories with one reporter that didn’t benefit him at all, but the third story was all about SavingsAngel. He says if you have service at heart, you’ll find that PR goes easier for you. TV is probably the most difficult medium on which to get exposure because it’s visual. You have to look good and sound good so there’s not as much competition. Listen to the show to hear Josh’s take on Help a Reporter Out (HARO). Getting quoted and put in front of an audience is just one part of connecting with the media, Josh says. The other part is what you do with it. A media placement increases your value in the marketplace and your stature among potential investors or customers. As you continue to promote that placement, the journalist begins to view you as a partner. Josh explains that you should view the first time you work with a journalist as the beginning of a relationship. Because you want that relationship to last for life, you should continue to make yourself available and offer story ideas, bullet points, and quotes. To keep from being a pest, Josh suggests asking permission to update a journalist every couple of weeks with the things you’re working on since it might inspire story ideas. Josh tells his journalist friends that he’s very available. If they need an expert and are on a tight deadline, they should text, call, or email him. His highest priority is to help them whenever they need a consumer story. Listen to the show to hear more about what to do after you’ve been quoted in the media. Go to analytics.agorapulse.com, authorize it to access your Twitter account, and click through the confirmation email. Then add the other Twitter accounts to which you want to compare. You can see over the last 30 days how much engagement other accounts are getting, as well as interactions or conversations per tweet. There’s a really great Twitter-specific dashboard for all of that high-level data. If you’re doing a weekly or monthly report to show how your Twitter account is doing compared to others, or even if you’re in an organization that has multiple Twitter accounts, list them off using this tool, and you have quick, easy reporting. Listen to the show to learn more and let us know how Twitter Analytics from AgoraPulse works for you. Have you seen all of the statistics about the massive growth of Snapchat? Do you want to get involved but need direction? At our online summit, we have three sessions dedicated to Snapchat with excellent folks teaching them. Carlos Gil is teaching How to Grow Your Business Presence With Snapchat, Shaun Ayala is teaching How to Tell Great Stories With Snapchat: Tips & Tools, and we have a panel with Saba Sedighi and Carlos Gil on How to Use Snapchat Geofilters to Grow Your Business Exposure. If you’ve been watching Snapchat growth from the sidelines, consider getting some training to understand what all the talk is about. Check out the entire agenda. Learn more about Josh’s mentoring and get access to free workshops, videos, and articles on his website. Get an application for membership. Follow @JoshElledge and @SavingsAngel on Twitter. Check out the SavingsAngel YouTube channel and listen to the SavingsAngel Show. Learn more about remnant advertising space. Read a Chicago Tribune article with a quote from Josh. Explore FOX 35 Good Day Orlando. Listen to the Twitter Tools podcast. 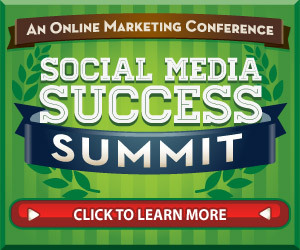 Check out Seth Godin and John Lee Dumas. Take a look at BuzzSumo and Google News. Check out Twitter Analytics from AgoraPulse. What do you think? What are your thoughts on connecting with traditional media influencers? Please leave your comments below. 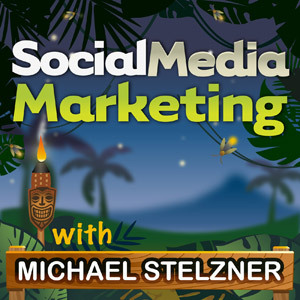 Josh Elledge talks with Michael Stelzner about media relationships and how to connect with traditional media influencers.